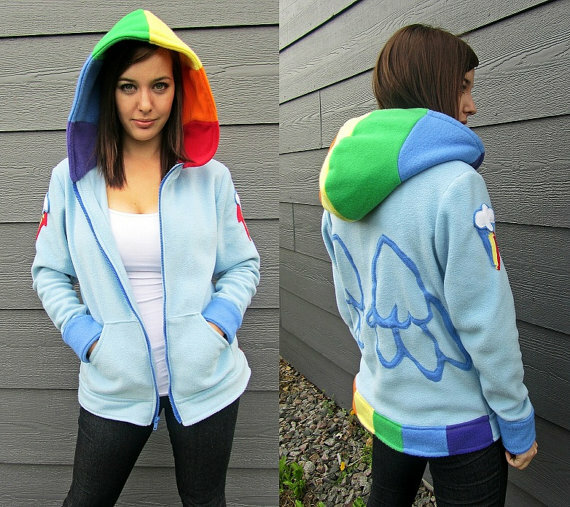 Run by cosplayer Lisa Lou Who, Rarity’s Boutique offers thoughtfully crafted, snuggly soft fleece hoodies. 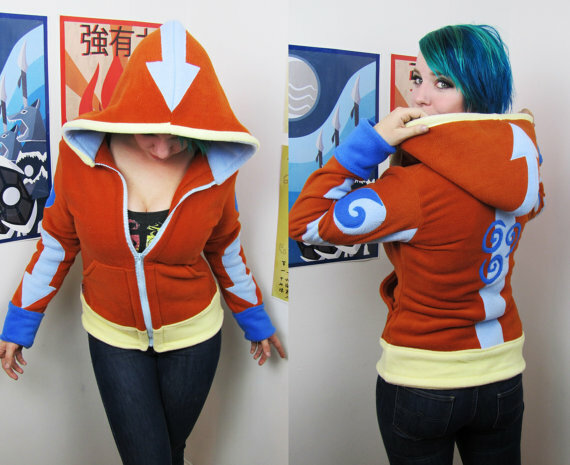 With designs catering to a wide range of fandoms, every hoodie is made by Lisa (or her mom!). Priced at $200, they’re rather reasonably priced when you consider the detail and craftsmanship put in to each and every piece, and the fact that they’re all made by only 1-2 people. 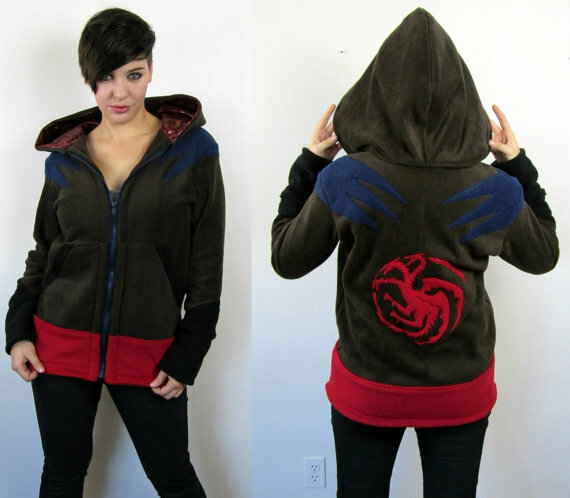 My Star Wars Marc Ecko hoodies cost me about the same, but where their price is for the name and their business costs are relatively low, I know that paying for a Rarity hoodie is actually allowing someone to pay the bills! The one important thing to remember when it comes to Rarity’s Boutique is that there are only limited commissions available for each design. 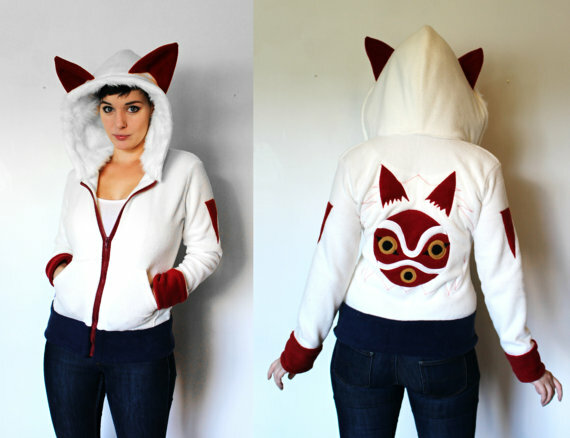 The store is generally only open the first Monday of each month, and then closes once all the hoodie commissions are full. 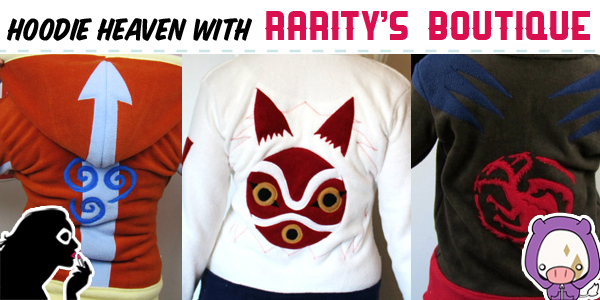 Which designs are available each month may vary, so you might be best off purchasing whichever hoodie you’re pining over sooner rather than later. 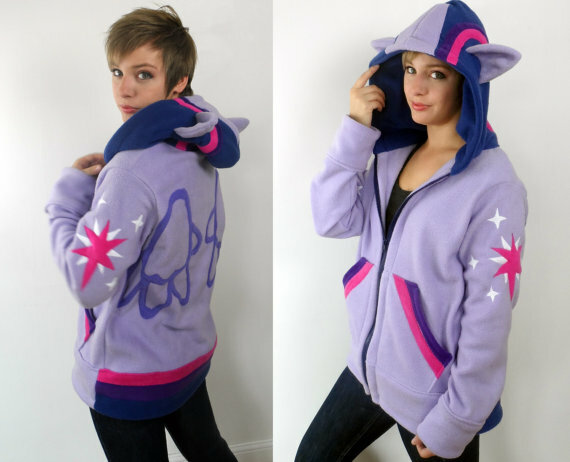 Which hoodie offering from Rarity’s Boutique do you like best? 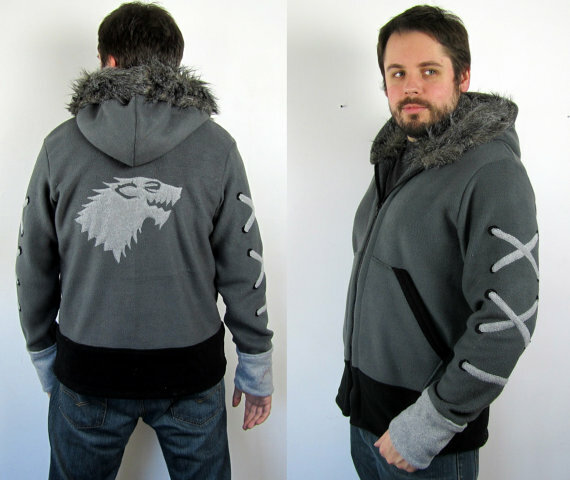 I’m head over heels for their Game of Thrones themed hoodies, but the Avatar designs are pretty amazing, and check out that brilliant Princess Mononoke piece! Welp, there goes all my money. Be sure to follow Rarity’s Boutique on Facebook, and connect with us on Facebook and Twitter! 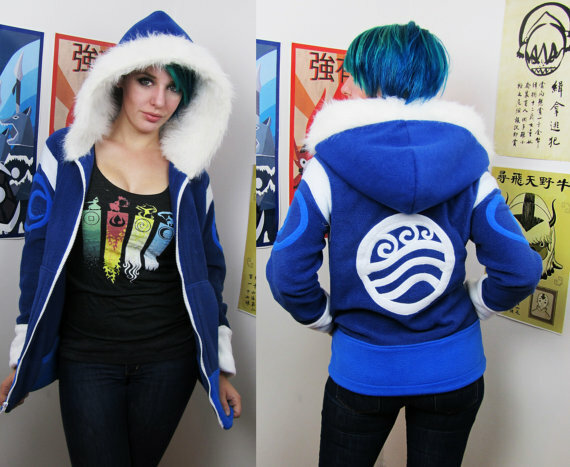 I own the Sailor Jupiter hoodie and it is AMAZING! So warm, so cozy! I’ve lived in it through this cold, Canadian winter and it’s holding up really well considering the use and the washes it’s gotten. 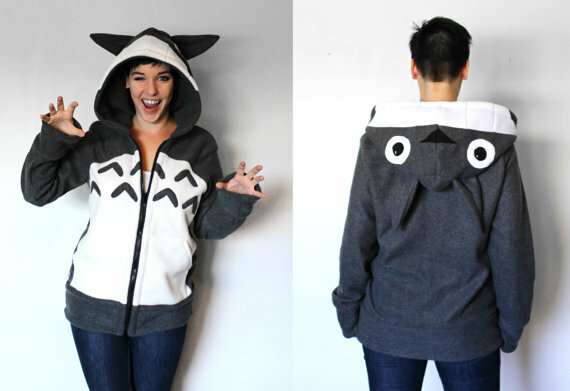 My favorites features are the huge hood, the easy zipper and the fact that the sleeves roll up nicely and stay.